Seventeen-year-old Verity Boone expects a warm homecoming when she returns to Catawissa, Pennsylvania, in 1867, pledged to marry a man she has never met. Instead, she finds a father she barely knows and a future husband with whom she apparently has nothing in common. One truly horrifying surprise awaits her: the graves of her mother and aunt are enclosed in iron cages outside the local cemetery. Nobody in town will explain why, but Verity hears rumors of buried treasure and witchcraft. Perhaps the cages were built to keep grave robbers out... or to keep the women in. Determine to understand, Verity finds herself in a life-and-death struggle with people she trusted. 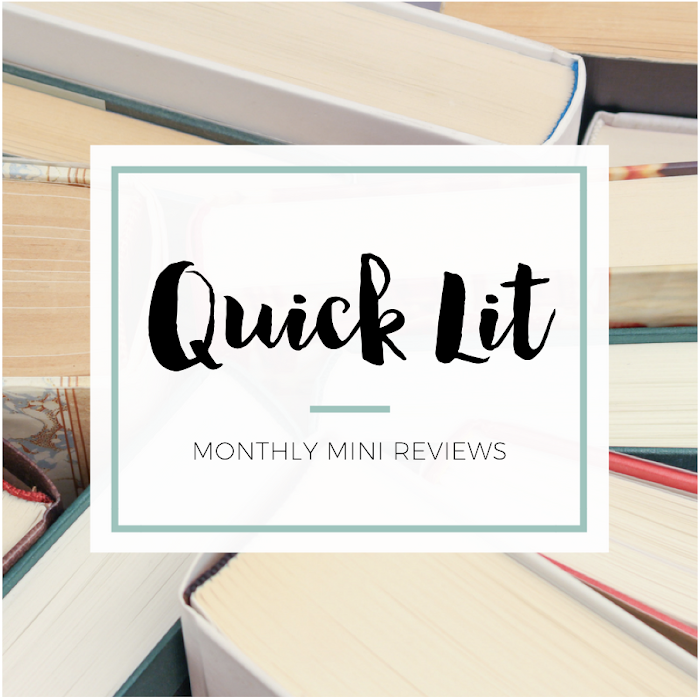 A few months ago, Alyssa from Books Take You Places tweeted about wanting some historical fiction recommendations because she'd recently finished two that she'd loved. While I offered up some of my own, I was curious about what she'd read that had so hit the spot. 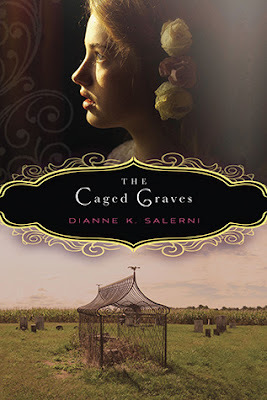 She quickly told me that I HAD to read The Caged Graves by Dianne Salerni. 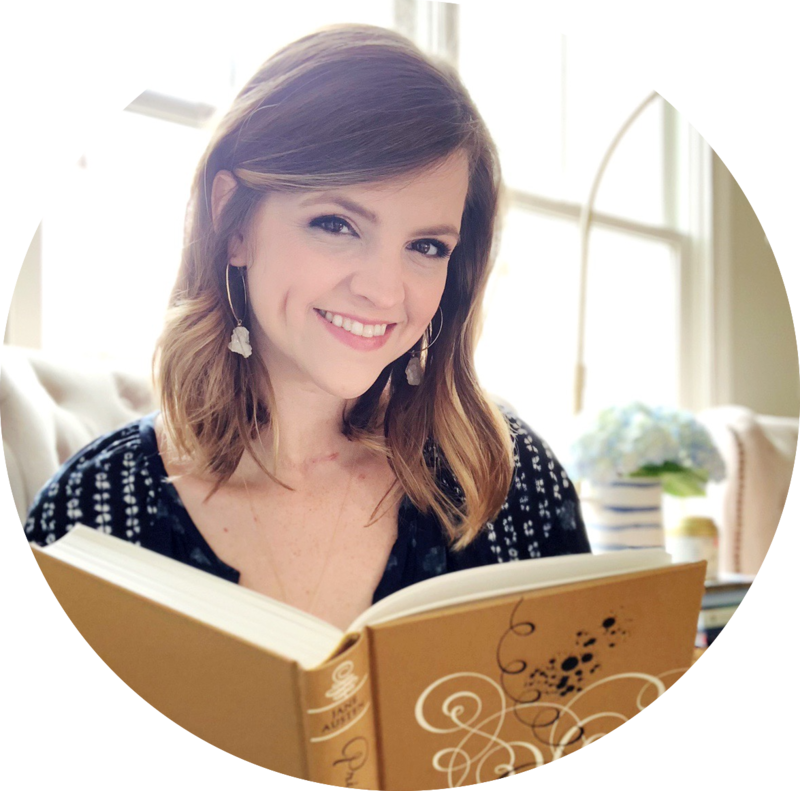 Her review soon convinced me that it was time to take the plunge, and I bought it on my Kindle soon after. Holy cow, I'm so glad I did! Verity Boone has been living with relatives for most of her life, but she's finally returning to her hometown, Catawissa, at age seventeen. She's engaged to be married to a young man she only know through letters, and she hardly knows her father when it comes down to it. When she arrives, she finds that nothing is as she expected and there are rumors following her every step in Catawissa. Everything about the place is unfamiliar to her - she hasn't been there since her mother and aunt died when she was a toddler. So, when she sees two graves outside of the cemetery and enclosed in iron cages, she's horrified to learn that they belong to her family members. There are secrets about why they've been set apart, and Verity is determined to learn the truth... even though the darkest rumors involve witchcraft and buried treasure. Author Dianne Salerni was inspired by real caged graves that have been found in Pennsylvania in the writing of her story. This small part of history led her to write this dark and gothic tale that felt nothing like most historical fiction that I've read. Salerni catches your attention with an engaging and likable (if somewhat naive) heroine, but she keeps you hooked with the suspense and mystery that builds on every page. Although they're very different, this book reminded me of The Scorpio Races at times in the fact that there is such a clear mood permeating throughout the book. I closed The Scorpio Races feeling as though I'd been on Thisby, and I closed The Caged Graves with a similar feeling of having been immersed in the Catawissa lore. Furthermore, the spooky mystery surrounding the women's deaths quickened the book's pace and kept it from feeling slow or dull. There is a love triangle aspect to The Caged Graves, and that was the only element that fell a little bit flat for me. I enjoyed how both love interests each had their positive and negative qualities - I honestly felt like there wasn't a clear winner while I was reading. Each boy's interaction with Verity was fun to read, so why was this the only element I didn't love? Honestly, only because I wanted to get back to the mystery. I was so caught up in the secrets and intrigue that I found the love story to be a little bit distracting at times. It became the focal point a few times when I wished it would have remained more of a fringe element. Either way, this was such a wonderful read! It felt really different from most Young Adult books that I've read recently (aside from the love triangle aspect), and I loved that it was inspired by something that remains a mystery to this day. I loved that there was a logical answer to the deaths of Verity's mom and aunt, and I was surprised and delighted by the twists leading up to those revelations. I flew through this book, and I'm so glad Alyssa recommended it to me! There are so many elements to love about this book: a descriptive and well-drawn setting, a spooky mystery, a fiesty heroine and two handsome gentleman. What more could you want from a book? I'll certainly be looking forward to more from Salerni! This is a hidden gem that I'd definitely recommend to fans of historical fiction, and it would be a great place to start if you're newer to the genre, too. "I thought love was - big and loud and sudden, like a thunderbolt." She looked back, meeting his eyes. "I didn't know it was deep and quiet and grew upon a woman slowly, until one day she realizes it's the very breath and smiles and tears of her life." It's striking and lovely in a dark way. I love the cover too! It was such a unique read - creepy and moody. Such a nice change of pace! You had me at The Scorpio Races - one of my favorite books ever. The premise to this one sounds so intriguing! I can't wait to check it out! Yay! The Scorpio Races is one of my favorites as well :) Scorpio is still better than this one, but I think fans of that one will enjoy the darker mood in this one! Clearly, I really must read this book! I do like historical fiction when it's well done, and the idea of caged graves really interests me. I'd love to see how the author manages to tell her story, employing history and whimsy in equal measures. Great review! YAY! I'm so happy you're interested in this one :) The idea of the caged graves really intrigued me too - and I'm so glad it didn't disappoint! Hope you get to read it soon, lady. I remember reading Alyssa's review (and a very others) months ago as well. It does seem to have flown under the radar a bit, though. This book sounds so awesome and like something I'd totally enjoy, so I definitely plan on giving it a chance. I love historical fiction, but I haven't read very many recently - I'm hoping this book will inspire me to start reading some more again. And I do love a book where the mood/atmosphere really permeates through the pages. :) Lovely review! Yeah, it definitely seems as though it's flown under the radar somewhat! I'm so glad you're interested in giving this one a chance. Yay for another historical fiction lover :) If you like a mood that is integral to the book, then this book will totally appeal to you. Hope you enjoy if you read it! Hey! Thanks for the mention AND the suggestions!! Also Salerni has another book "We Hear the Dead" that I am going to reading and reviewing in October since it is SPOOKY!! I STILL think about this book, I want more things just like this so if you have more suggestions, throw them my way!! Yeah, I was super nervous about the triangle. I could not tell who she was going to choose, but I liked how each made sense in their own way. I need to re-read now that I know what happens just to experience it all over again with that knowledge. And yes, totally makes sense that it felt more real. I totally agree! I don't think Salerni tried to make it seem like she was madly in love with either - just that she was attracted to both which was believable and realistic.